On December 20, 2018, the Angels came and carried her to paradise. After a life well lived, caring for and about everyone, and her continual, unbelievable fight, to out run her incurable heart condition, she received her eternal reward. Marilyn attended the Cecilian Academy, class of 1959; graduated from the nursing program at Montgomery County Community College; received her BSN from Stockton University; and then her MSN in Health Care Administration from St. Joseph's University. Marilyn loved every minute of her nursing career and was well known for supporting and encouraging every nurse she encountered. Many nurses know professional growth because of Marilyn. Her career was filled with many challenges: The Joint Commission for Accreditation of Healthcare Organizations; Director, BAYADA Nurses; VP of Clinical Operations, Mount Sinai Hospital; and most importantly of all in her view, her time as a staff nurse at Holy Redeemer Hospital in her early nursing days. Her pride and joy at the end of her career was seeing all three of her triplet granddaughters graduate from nursing school! Marilyn believed deeply in community service, in her love of her church and in service to others. She made sure that many veterans in her area received the benefits which they deserved. She was not one to take "no" for an answer! 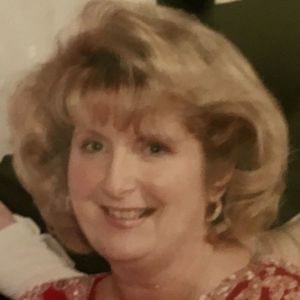 She also was a long- time member of Cape Women's Resource, a board member of Volunteers in Medicine, President Mid Jersey Cape Rotary, President of ARN Nurses as well as a member of Sigma Theta Tau Nursing Honor Society. Marilyn is survived by her loving husband, Edward J. Sweeney, (who she lovingly called "my Eddie") daughter, Karen M. Biederman, son, Michael I. Conway, granddaughters, Julianna, Alexandra and Veronica Biederman and Carissa Conway, brothers, Nicholas (Joanne) and Charles (Shirley) Satiritz, as well as many other nieces and nephews. Marilyn adored her children and her granddaughters and thought her greatest life achievement was her wonderful family. Service will be held on Saturday, January 5, 2019 at Our Lady of the Angels Church, 35 East Mechanic Street, Cape May Court House, NJ. 9:00 AM Visitation, 11:00 AM Mass. In lieu of flowers, please send contributions to Volunteers in Medicine, Cape May Court House, NJ or the American Heart Association in Marilyn's name. Marilyn was my best friend and will be truly missed by so many people she touched. She was a gem - not replaceable. Marilyn always put your needs first with an extended hand. True friends, as she was, are rare. Now, my friend, it is your turn to rest - job well done. We have started to come back to Cape May recently and attend Our Lady of the Angels for Sunday Mass. Each time I remember running into Marilyn as Eucharistic Minister and then you as usher from years ago. I always wondered where life took you all. I was saddened to read of Marilyn's passing in the Philly paper. What a beautiful picture you chose. Then I read the local AC write up: what an unbelievably strong, loving, caring person !!! The gift she leaves you, a wonderful family, must be a blessing. I am sure she will watch over you all with the same energy she had in this life. My thoughts and prayers for health and peace go with you. Marilyn was one of the strongest influences in my nursing career. She taught me well and I am a better person because of you. My memories of her are fond and loving. I am deeply saddened to hear of her passing and you and your family and have my most sincere condolences. Rest In Peace, my friend.